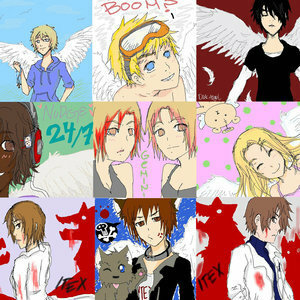 the flock. . Wallpaper and background images in the Maximum Ride club tagged: maximum ride total max iggy angel gazzy fang nudge. Umm, Fang looks like a girl, in my opinion. Otherwise, fantastic!